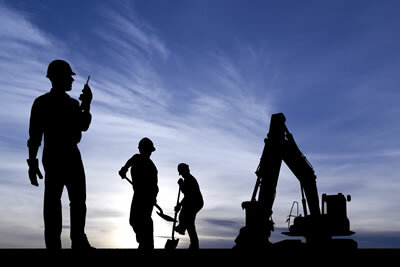 The construction industry is a higher risk trade that requires appropriate Construction Insurance. Construction projects can be dangerous for those on and around site. You, your employees, surveyors, inspectors, the public and many others could be subject to risk at your construction site/job. This demonstrates just how significant it is to ensure that you have the right construction liability insurance in place. This policy offers ‘All Risks’ protection for materials usually referred to as ‘contract works’, and can also cover owned and hired-in contractors’ plant and employees’ personal tools and effects. Cover your construction business for damages and legal costs anywhere in the world, in respect of employees who have suffered injury or disease arising from, and in the course of, their employment. Protect your construction business against claims for compensation following accidental death or personal injury to third parties (excluding employees). Cover, with fewer conditions, for damage to materials, known as ‘contract works’, leading to expense, liability, loss, claim or legal proceedings.